Finding hope in dark times is not an accident. Sometimes it has to be hunted, and that chase takes great strength. 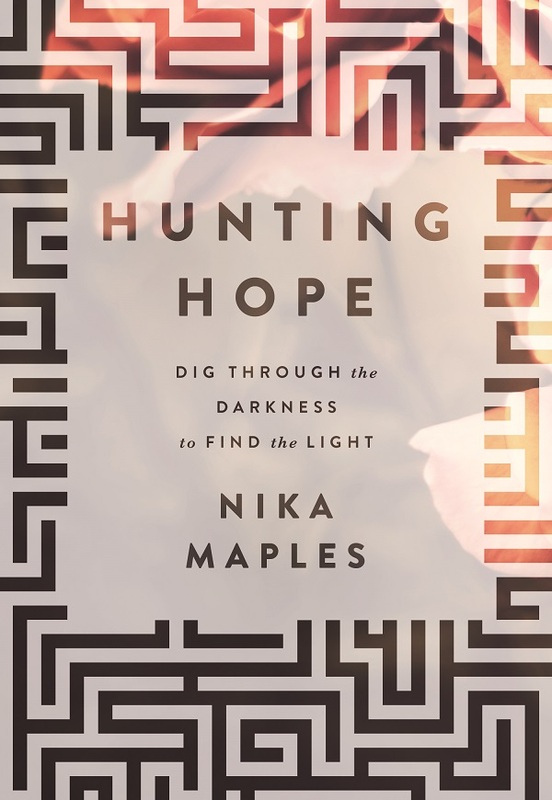 Author Nika Maples wants to help others find the fierce bravery required to excavate hope from hardship with her new book, Hunting Hope: Dig Through the Darkness to Find the Light (Worthy Inspired). Maples warns those who have the opportunity to observe Hope Hunters not to be fooled by the light in their eyes and the smile on their faces. If bystanders look a little closer, they’ll notice the dirt under their fingernails and the sweat on their shirts. These pursuers of light rake through the rubble of unwanted situations and dig into difficult circumstances, because they know enough about God to make them confident adversity can produce good in their lives. This is not the delusion of the eternal optimist. The Hope Hunter acknowledges things are as bad as they seem, but they understand they can still search for — and find — God in the midst of it all. 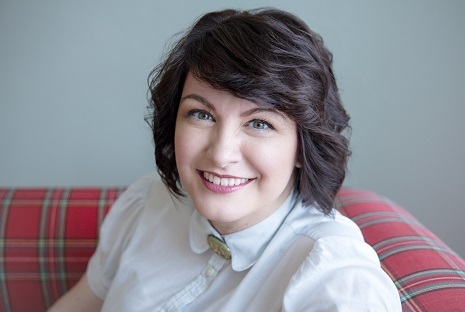 Join Nika Maples for a live webcast on Thursday, May 26 at 8 PM EDT. Click here for more details and to RSVP. Q: In your book, you call readers to become hope hunters. What is a hope hunter? The easiest way to describe a hope hunter is to describe what hope hunter is not. A hope hunter is not just an optimist. There is a big difference. An optimist is someone who might ignore the reality of a situation or might dismiss the negativity in a situation. But a hope hunter acknowledges the reality of a situation and accepts the negativity in a situation. An optimist focuses on keeping his or her chin up. A hope hunter focuses on digging down into the character of God. Q: Why do we see in the Bible, time after time, a dark time precedes new growth or a new assignment? Those dark times in our lives feel like a winter season. The climate is uncomfortable and the forecast ranges from bleak to fierce. We’ve all walked through circumstances that left us feeling like we were trying to survive overnight in the snow. But one day it occurred to me that in nature, winter is not an accident. God made and ordained it. Winter is every bit as important as spring or summer. In fact, winter is the stark preparation period that makes new life possible in the spring. As I looked for this theme in Scripture, I read countless stories of men and women who experienced wintry darkness before they were sent out for their divine mission on earth. Perhaps God does this because He needs people in leadership who will trust Him completely. We learn how to trust Him when we cannot see where we’re going. Q: It may be tempting for someone to think, “This is easy for you to say. You don’t know what I’ve been through.” However, this book and its message sprang from a very personal place for you. Could you share some of your story? My personal experience was definitely the launching place for the book. This book is about finding light in the darkest times, so for me, one significantly dark time was when I suffered a lupus-related stroke at age 20. The injury was in my brainstem, and it left me quadriplegic within a matter of minutes. I couldn’t speak or even open my eyes. But I could hear. I heard doctors warn my parents that I had as few as 48 hours to live, and if I did, I might remain in a vegetative state for the rest of my life. They suggested a nursing home as an option. Remember, I had just turned 20 years old. It was a very dark time for me. It was a very dark time for all of us. Q: Why do you think you were sometimes tempted to let your circumstances define who you were? My disability is at the forefront all the time. When people meet me, sometimes I can tell they are curious to know the story behind it. I am comfortable with explaining the faithfulness God has shown me through disability and chronic illness, but it can be easy to think that is my only story. You and I are so much more than what has happened to us. You are not the sick person. You are not the divorced person. You are not the unemployed person. You are not the depressed person. You are not the person with anxiety. You may have lived through a season of sickness, divorce, un­employment, depression or anxiety, or you may be there still, but you don’t have to let that label stick forever in front. The label is not your name. Your identity is bigger than the facts of your life. But it is easy to let what we see outmaneuver what we cannot see. What we cannot see is the reality. We are children of the high King of heaven. That is the only label that should stick enough to affect our actions and decisions throughout our lives. Q: You write hoping for change in front of a watching world can be embarrassing. Why did you feel that way? Hoping is vulnerable. There is nothing more vulnerable we can do. Hoping is staying open instead of closing off after something has hurt us. It is completely out of the norm to stay open after a great loss. The easier thing to do is to self-protect and isolate, to harden against the elements. But hope stays soft on purpose. And, unfortunately, in our modern society, softness is not an attribute that is highly prized. Most people see self-protection as strength, isolation as independence and hardness as power. In reality, the choice to remain soft is, by far, the greater indicator of personal strength, independence and power. Yet, if we allow the world to dictate our perspective, we will see it as nothing more than foolishness. We are afraid hoping and staying open will make us look like a fool. During a time of intense hope hunting, you may even have to bear some ridicule from people who think what you’re doing is crazy. We have to be careful not to elevate phrases such as, “Once bitten, twice shy,” and apply them both to people and to God. We are tempted to turn to Him and say, “You let me be hurt once, but you better believe I am not going to let myself be hurt again!” When we say that, we’re saying we are better at protecting ourselves than God is at protecting us. Nothing could be further from the Truth. And the further we get from the Truth, the more we are in dangerous territory. By choosing to hope instead, we are choosing to live out of faith and trust in God. There is no safer place to me. Q: You live with chronic pain. Are your spirits always up? Have you ever been afraid the Lord would be disappointed in you if you allowed yourself to get down? Though I am in bodily pain a lot of times, I often consider heart pain to be more difficult to navigate. I have always been able to give myself grace for grief over physical setbacks. Jesus knows quite a lot about physical pain, and I am never afraid that He will be disappointed in me when suffering feels too heavy to bear. I easily begrudge myself the time to deal with heart pain, however. The Lord encouraged me when I was going through an emotional strain that hurt me deeply. I was crying every day over a period of about five months, and I really condemned myself for it. I was hyper critical. I thought, “This is not a legitimate sorrow. Look how many blessings I’ve received. I have no right to be feeling this way.” The source of this thinking was comparison because I was looking at a friend of mine who had recently been through a traumatic loss. She was in devastating grief. So, for some reason, I thought her deep pain disallowed my pain. The Lord spoke into my heart as I was thinking along these lines. He said, “Pain is pain.” I felt instant permission to validate my own sorrow. Instead of trying to dismiss it, I allowed myself to feel it deeply. And it wasn’t long before the weight of that ache dissipated. A lot of times we linger a long time in pain because we are more sympathetic with others than we are with ourselves. Q: What advice do you have for the person wrestling with hope deferred during a long period of suffering? My advice to someone in a long season of suffering is straight from the Word: “Do not become weary in doing good, for at the proper time, you will reap a harvest, if you do not give up” (Galatians 6:9). What could be more encouraging than that? 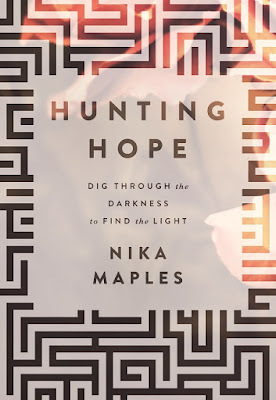 Learn more about Nika Maples and Hunting Hope by visiting www.nikamaples.com or following her on Facebook (nikamaples) or Twitter (@nikamaples). Why am I blogging about #thebachelorette again?